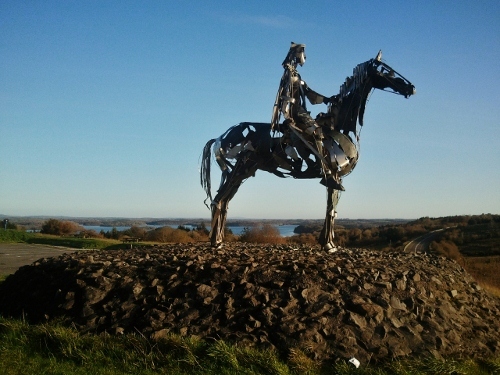 Sitting on a hill on the side of the road overlooking the road from Sligo to Dublin stands this impressive sculpture. 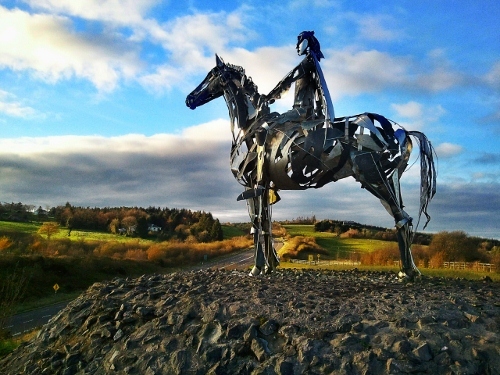 It commemorates a battle in 1599 when an English force was ambushed by Irish Rebels. It certainly is an imposing statue, and unique in it's construction. Lovely statue. We have some nice pieces of art alongside our roads these days. This is very much in the style of Heather Jansch, except she works with driftwood. It is quite striking as its up on a hill. The one positive legacy of the last lot in government is the sculptures along the road and in new developments.